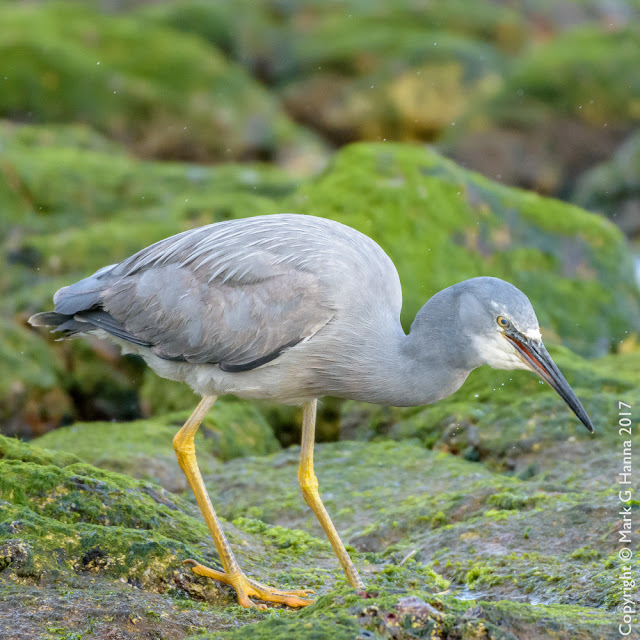 These herons are found in many habitats, and are fairly common. (Maybe in a few years I’ll be able to do a calendar of uncommon Tasmanian birds.) I’ve got good shots from the Huon, and I’ve even seen them in the Hobart Rivulet outside work. Not only found across Australia, they also live in Indonesia and New Guinea, and have colonised New Zealand since 1941. They are graceful flyers, with an unusual motion with the body seeming to move up and down between their wings. I found this one foraging in the rockpools at Bellerive.